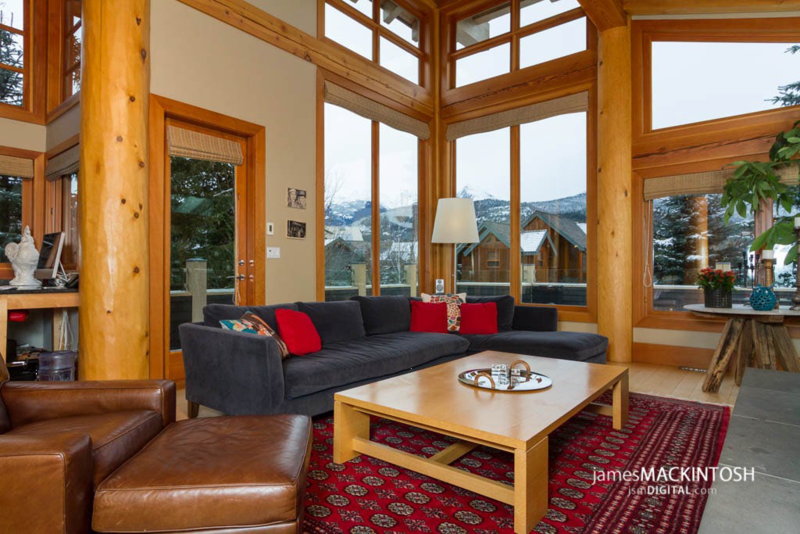 This fabulous Villa is the second largest home in Whistler. This home offers 10,000 square feet on 4 levels. 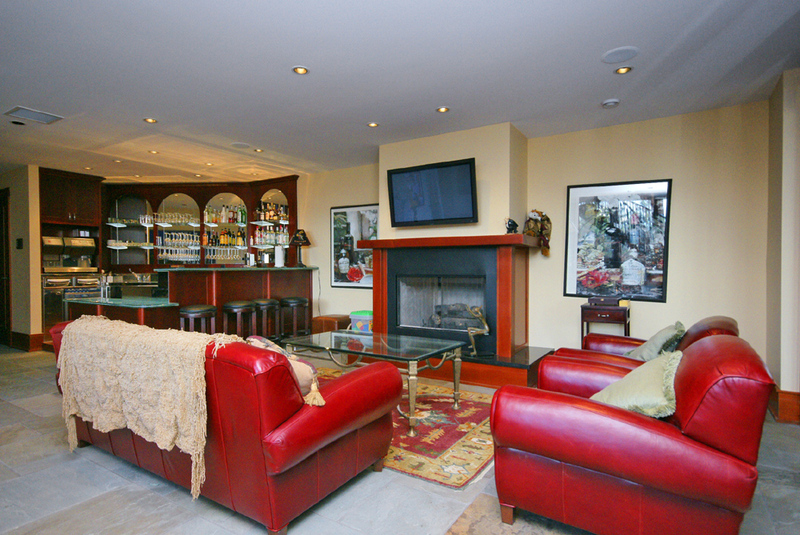 The main level has a great foyer with spectacular staircase, gourmet kitchen, living room and dining table for 12. The view from the dining table is spectacular. To the right of the foyer is one guest bedroom with ensuites and laundry facilities. The top floor is a gorgeous master bedroom which boasts vaulted ceilings, gas burning fireplace, built in wardrobe, walk in closet and a private 1500 square foot roof top deck. The ensuite on the master features an octagonal island containing a spa tub, steam shower and built in audio. This is the most fabulous ensuite I have ever scene. Off of the master bedroom is another bedroom great for children. This room has a bed and a sofa and reading area so it can be used as a sitting room or additional bedroom. There is a powder room ensuited to this area. The second master bedroom is on the main floor and offers edge grain fir architectural paneling, a private deck with French doors, an ensuite bath with a solid granite counter top and a shower finished in Italian tile. The entertainment room is one floor down from the main living area. It boasts an open floor plan and includes an Italian stainless steel open bar, pool table, high density Plasma TV and a gas burning fireplace. On the same level is a heated indoor swimming pool 25” x 12/5”, a custom crafted stone wall fountain and a large floor to ceiling bay windows. This level features 3 bedrooms all with ensuites. All rooms are wired for data, High speed internet, telephone, alarm and satellite services. There is a state of the art gourmet kitchen with sub zero fridge, Wolf commercial stainless steel range. Two Asko dishwashers. The bottom level features an 8 seat proper theatre a children’s bedroom with bunk beds and twin beds with ensuite bath and another powder room for use from the theatre.